BCG vaccine - can it reverse type 1 diabetes mellitus? Let’s take a look at what we know about diabetes and how the BCG vaccine is able to reverse the disease. Type 1 diabetes is an autoimmune disease characterized by the destruction of pancreatic islet cells, which are critical to glucose metabolism by producing insulin, by autoreactive T cells. These lymphocytes mistakenly attack pancreatic islet cells as if they were a foreign body, like a viral or bacterial infection. In addition, regulatory T-cells (which are often called Tregs) modulate the immune system and would generally reduce the effect of an autoimmune attack. Tregs act like brakes that normally prevent the mistaken attacks, like on the pancreatic islet cells, without affecting the whole immune system. A branch of diabetes research has suggested that Tregs could be the key to treating type 1 diabetes. Once the pancreatic islet cells are damaged, they no longer produce hormones, especially insulin, that help regulate the levels of blood glucose. Without insulin, the blood glucose levels increase rapidly leading to long-term damage to eyesight, kidneys, limbs, heart and other organs. In fact, type 1 diabetes can be deadly if the uncontrolled blood sugar leads to a life-threatening condition called diabetic ketoacidosis. Without regular insulin injections, a patient has little chance of living beyond a short period of time, and even then it could be a horrifically painful demise. It is not known what causes this autoimmune disease, although there is strong evidence that genetics is the most important factor. However, other things may be implicated, like vaccine-preventable diseases, which could be important co-factors in the development of the disease. Just to be clear, vaccines are not linked to type 1 diabetes. One of the great things about biomedical research is that there is almost always an assumption that with better understanding of the disease through research, better treatments may be uncovered. This is the case with type 1 diabetes. In a new article, authored by Denise Faustman, MD PhD and published in Diabetes Metabolism Research and Reviews (a respected journal with a good impact factor of 6.36), Dr. Faustman reported that the BCG vaccine induces a response in the immune system that is driven, in part, by tumor necrosis factor (TNF, see Note 2). The vaccine’s induction of TNF has two important effects with respect to type 1 diabetes – first, it causes selective death of the autoreactive T cells (which are destroying the pancreatic islet cells), and second, it causes the expansion of the beneficial Tregs. In a Phase 1 clinical trial, which included six adult volunteers with type 1 diabetes, two BCG vaccinations spaced 4 weeks apart selectively eliminated the autoreactive T cells, positively induced Tregs, and cause a small restoration of insulin production. It’s important to underline that this Phase 1 trial is very small – the goals are not to show the effectiveness of the vaccine, it’s more to show the safety. However, this preliminary data does appear to be exciting. Many groups are looking at the ability of BCG vaccination to reverse autoimmunity. We and other global efforts have known for some time that restoring beneficial Treg cells might halt the abnormal self-reactivity in type 1 diabetes and other autoimmune diseases, but therapies to restore this immune balance have not achieved long-lasting results. The discovery that BCG restores Tregs through epigenetics a process that modulates whether or not genes are expressed is exciting. This now provides a better idea of how BCG vaccination appears to work by powerfully modulating Treg induction and resetting the immune system to halt the underlying cause of the disease. Dr. Faustman is moving the BCG vaccine into a Phase II clinical trial soon that will include 150 patients followed over 5 years. The study will examine whether repeated BCG vaccinations will clinically improve type 1 diabetes outcomes in adults with the disease. The trial is enrolling patients and should be completed by 2023. Unusually, this Phase II trial is privately funded with no involvement of any pharmaceutical companies. However, the Phase III trial, which will provide definitive data on the effectiveness of the BCG vaccine, is significantly more expensive and will probably require the participation of a corporation. At this time, the BCG vaccine is generic (it’s over 100 years old, so patents have expired decades ago). There is only one licensed manufacturer of the vaccine in the USA, Organon Teknika Corporation, a division of Merck. Even though the vaccine is generic, only pharmaceutical companies with vaccine manufacturing facilities, requiring a large capital investment, would probably get involved. If the BCG vaccine shows more promise in the Phase II trial, you can bet good money that one or more of the major vaccine manufacturers will fund the Phase III trial to get an indication for treating (or preventing) type 1 diabetes. They may also improve the vaccine to increase the immune response which might improve the effectiveness short- and long-term. There’s one more reason that the manufacturer of the BCG vaccine needs to eventually be involved in the trial. The whole purpose of Phase I, II, and III clinical trials is to eventually gain FDA approval for a new drug, or, in this case, for a new indication. Even if Dr. Faustman’s research shows that the vaccine can prevent diabetes, without FDA approval for a change in the labeling of the vaccine, it technically cannot be used for type 1 diabetes. And legally, Organon Teknika cannot promote it for type 1 diabetes without FDA approval. We need to set proper expectations with this vaccine. Although the preclinical research on the BCG vaccine and type 1 diabetes provides a strong possibility for the effectiveness of the vaccine, we still lack definitive evidence that it will work in humans. The positive results of the Phase I trial included only a tiny group of patients, and the study was not powered in a way to determine effectiveness. Results for a Phase II trial, which will give us a better idea of whether the vaccine is effective, are at least 5 years away. 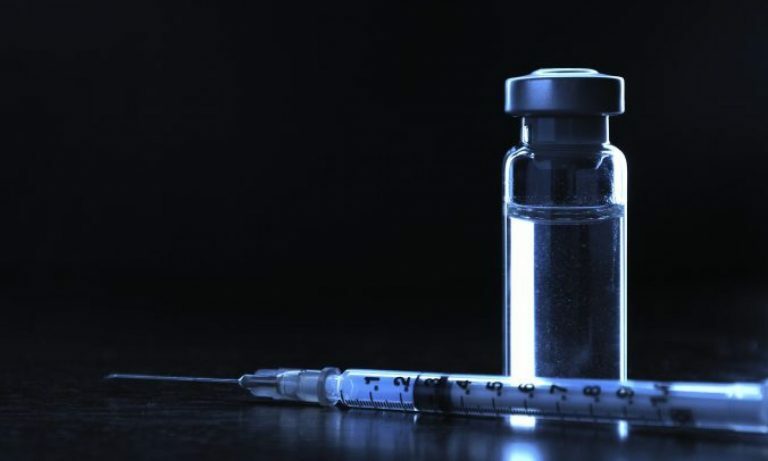 Moreover, a definitive Phase III trial, which will be the absolute best evidence of the safety and effectiveness of the vaccine in treating or reversing type 1 diabetes, will require another 5 years after that. So, we are looking at the late 2020s before we are ready to conclusively include the BCG vaccine in the armamentarium for prevention and treatment of type 1 diabetes. There is so much to know before we proclaim “cure.” We need dosage information. We need to know how frequently booster shots may be required. We need to know the long-term effectiveness of the vaccine. We need to understand about adverse effects, if any, of the vaccine. Type 2 diabetes is a substantially different disease from type 1. Mostly, type 2 diabetics produce insulin, just an insufficient amount to regulate glucose levels, or their cells have become resistant to insulin because of lifestyle issues. There is almost no relationship between type 1 and type 2 diabetes, except they share the same symptoms of high blood sugar. There are memes and articles all over the internet that make the bogus claim that ripe bananas contain TNF, so eating them will prevent cancer. First, bananas do not contain TNF. Second, TNF induces an inflammatory response, it doesn’t kill tumor cells. Faustman DL. TNF, TNF Inducers and TNFR2 Agonists: A New Path to Type 1 Diabetes Treatment. Diabetes Metab Res Rev. 2017 Aug 26. doi: 10.1002/dmrr.2941. [Epub ahead of print] Review. PubMed PMID: 28843039. Petzold A, Solimena M, Knoch KP. Mechanisms of Beta Cell Dysfunction Associated With Viral Infection. Curr Diab Rep. 2015 Oct;15(10):73. doi: 10.1007/s11892-015-0654-x. Review. PubMed PMID: 26280364; PubMed Central PMCID: PMC4539350. Editor’s note – this article was originally published in August 2017. It’s been updated with some new information and corrections to an unclear statement.